It was painfully hot last weekend in New York. For the most part, I can handle the heat (I mean hello, I grew up in LA), but the humidity really gets to me. I usually have a hard time being inside a kitchen on super hot days. This is an easy salad that utilizes some of early summer/late spring ingredients I picked up at the market. 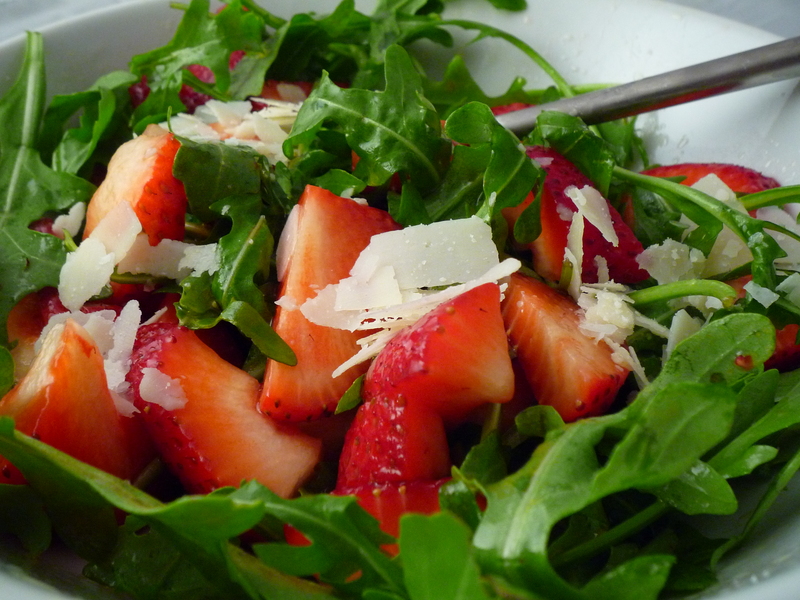 I’m not going to bore you with details of how to make a salad (if you can’t figure this one out I’m not sure there is much hope for you) but I will tell you what’s in it: local arugula, sliced strawberries, parmesan flakes, a drizzle of olive oil, fresh lemon juice, and a pinch of salt. Quite a refreshing and light salad, if I might say so myself. this serves about 4….stay cool everyone. The salad looks fresh and healthy. It’s a great summer recipe. Thanks for sharing. 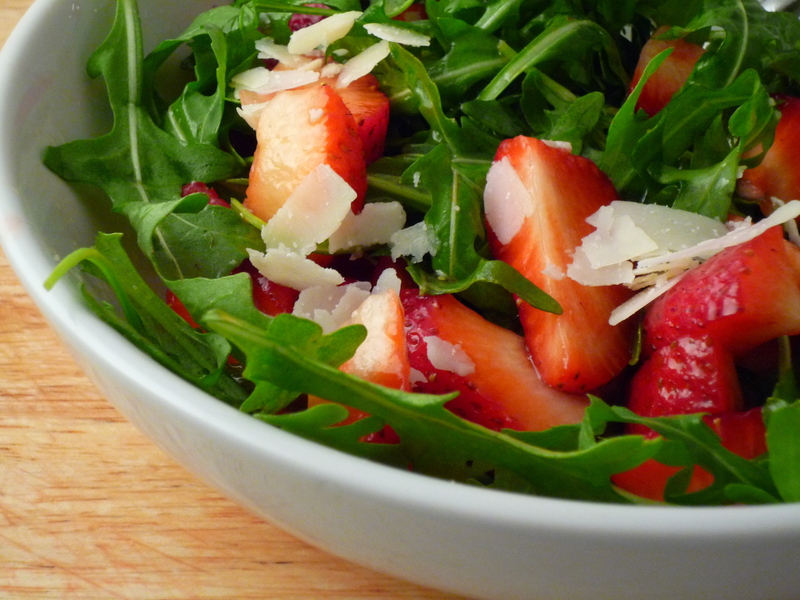 I have also made a summer strawberry salad with spinach and goat cheese! 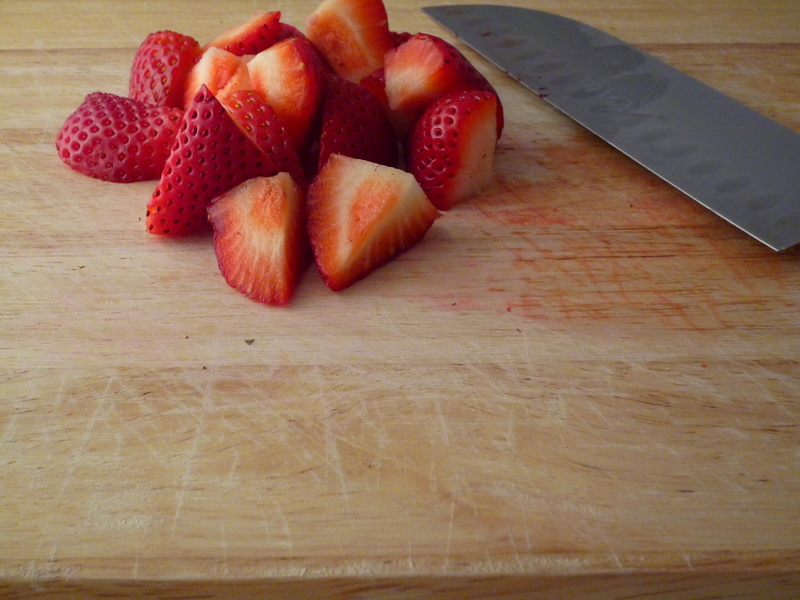 LOVE a strawberry salad! Add bacon! Add bacon! I know it adds heat to the whole thing, but I made a strawberry salad with bacon and I feel a lot better about my life ever since. there is always hope….. how do make a salad?